If you can’t tell from my blog posts, one of my hobbies is genealogy. I never really knew I was interested in family history until I started working for a genealogy magazine right after college. Then I started to learn about all the great places online I could find family history info and records and started asking my grandmother more about her life, and I was hooked. Through genealogy, I met my dad’s aunt (my grandpa’s sister) who had huge 3-ring binder full of family group sheets, new clippings and an essay about her childhood. I took a trip to visit her and see her collection—and she was overjoyed to share it and have someone in the “younger generation” show an interest in it. It’s these great connections with living relatives and the mysteries behind the family who came before us that keeps me searching for more family history info. I frequently venture on to FamilySearch’s site to see what’s new so I can add more family history information to my own research binder. In the past, I had found a few birth, marriage, and death records for relatives in Cook County, Illinois. During a recent visit to the site, I was in search of more and I lucked out: I found a 1930 census record for my great-grandpa on my mom’s side (who we called, “Nonno,” meaning grandfather in Italian), which led me to a naturalization record for my great-grandma’s brother. I had looked for census records before on this site, but this time I tried a different approach: Searching directly in the 1930 census instead of doing a more global search for family in all census records. Amazingly, I found a record my previous searches had missed using this strategy. My great-grandpa’s first and last name were spelled incorrectly. No wonder I hadn’t found them before! I noticed something interesting on this record: my great-grandparents had a lodger, my great-grandmother’s brother, at the time of the census. I didn’t know these family members lived with them at the time. So, I took this new information, and went back to my old technique using a global search, narrowing by location, on the FamilySearch site, and found a naturalization record for this brother. The record showed me his birth date and place, as well as his date of arrival. Next, I’ll need to try to find his immigration record. 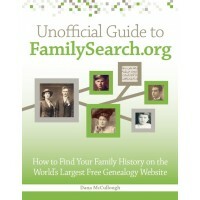 As a family history buff, these family history finds made my day. I look forward to more online genealogy surfing soon.